Banks – and especially the big banks – often play a role in building and in some instances rebuilding communities. 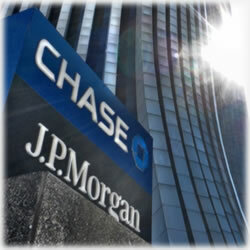 JPMorgan Chase is one of those banks and often leads the drive in “doing good”. Whether it’s a Habitat for Humanity campaign or helping hurricane victims, the nation’s biggest bank is often one of the first to arrive to aid those most in need. Earlier in September, JPMorgan Chase announced it would be donating $1.25 million to Habitat for Humanity in New York City. This was during the “100 Homes in Brooklyn” initiative, which builds ore remodels 100 affordable green homes in Bedford-Stuyvesant and Ocean Hill-Brownsville areas. The deadline is one year. This goal allows low income families the opportunity to own a home. The hard work is completed by volunteers and the homeowners, who contribute 200 hours of volunteering to the efforts of Habitat. This is something JPMorgan Chase has participated in for several years and is a source of pride in doing good for communities. said Kim Jasmin, JPMorgan Chase Northeast Regional Executive. We’re proud to partner with Habitat for Humanity NYC to help these two Brooklyn neighborhoods become vibrant communities once again. Not only does the banking giant contribute financially, bank employees also contribute via their own volunteering efforts. The banking giant not only supports its employees’ commitments, it encourages it. said Rachel Hyman, who is the acting Executive Director at Habitat for Humanity. But that’s not all the bank has been up to in recent weeks and months. We are partnering with key community groups to help our neighbors who face challenges after Issac. Like many companies, Chase often anticipates what the greatest needs might be before a hurricane ever makes landfall or any other disaster strikes. It kept all of its Louisiana branches open late especially during the evacuation efforts, so that its customers would be able to access their bank accounts and credit card cash advance options. It then waived all overdraft and late fees for customers in both Mississippi and Louisiana in the days following landfall. Not only that, but Chase employees were on hand during the Labor Day weekend to give out flashlights, weather radios as well as burgers and hot dogs. It’s estimated around 14,000 Louisiana residents benefited from its presence in the committee. One example is the Chase Freedom MasterCard. This credit card is one of those products that is especially popular with consumers – and for good reason. With the perks and benefits, coupled with the customer service team that many say has grown by leaps and bounds, it’s easy to understand why. Cardholders earn $100 cash back after the first $500 in charges during the first ninety days of opening the account. It also offers a 0% APR for both balance transfers and purchases – and it’s good for 15 months. Cardholders earn 1% cash back on ll of their purchase, 5% cash back in quarterly categories and up to a 15 month time period for those wishing to move their high interest account balances to a more stable financial environment. With no annual fees and promises that the points will never expire, it appears JPMorgan Chase has indeed hit another home run. Another fast rising Chase credit card partners with Disney in order to bring benefits to the table. This was once the “Disney Rewards” card, now it’s been renamed and given a facelift. The Disney Premier Visa Card offers exciting details, especially if you’re a Disney fan. We saved big on our hotel accommodations and were able to add another day in Disney World because of it. The features are impressive, too. From Disney character “meet and greets” for the little ones to online account management to a versatile selection of card designs, this is truly all about personalization of a credit card so that it meets the consumer’s needs. One aspect that’s been receiving rave reviews is the private card member location. It’s exclusive to Chase Disney Premier card holders and opens up a lot of convenient features and options. This is where the exciting meet and greets for the kids happen, it’s where you can find exclusive concierge services and help for everything from finding a particular area in the park to speaking privately with a Chase representative if you need to. It’s been a successful effort and definitely a home home for the JPMorgan Chase family. JPMorgan Chase & Co. is the nation’s largest banks and remains a leading global financial services firm with assets of $2.3 trillion and operations worldwide. A global leader in investment banking, financial services for consumers and small businesses, commercial banking, financial transaction processing, asset management and private equity. A component of the Dow Jones Industrial Average, JPMorgan Chase & Co. serves millions of consumers in the United States and many of the world’s most prominent corporate, institutional and government clients under its J.P. Morgan and Chase brands.